Thinking about Moving to Ireland? If you're thinking about moving from Canada to Ireland, short or long term, there is a long list of things to consider. That's true, of course, for any move to another country (or even a different part of Canada). It is hoped that the format and content of the ideas provided here about moving to and living in Ireland will be helpful to researching moves to Northern Ireland and other destinations, as well. 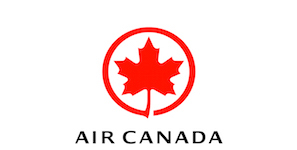 The Irish Canadian Society graciously acknowledges its airline sponsor.